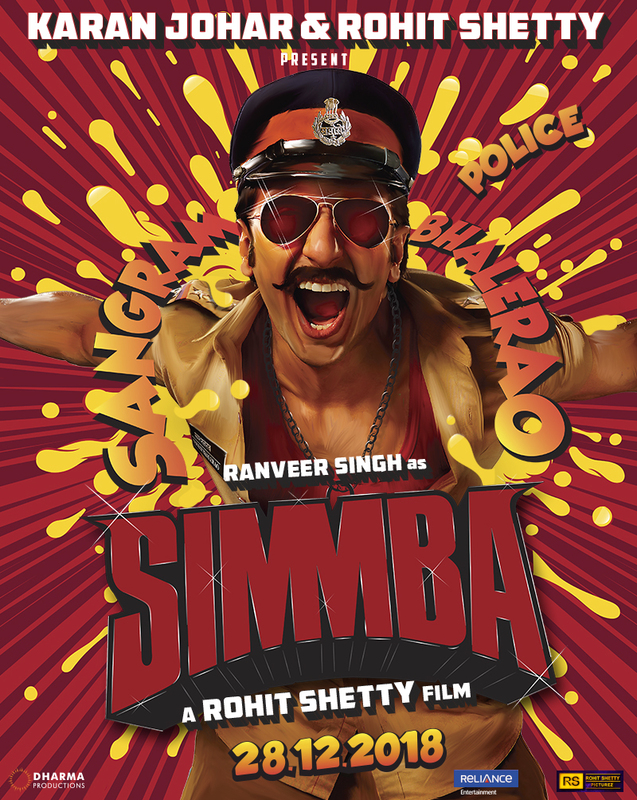 After the massive success of Golmaal Again, Rohit Shetty unveils the first poster of his next directorial venture Simmba starring Ranveer Singh. This is the first time, Rohit Shetty and Karan Johar will be joining hands for a film. Ranveer will be seen playing a notorious cop named Sangram Bhalerao in the film.